Any experienced PC DIY-er knows how important RAM is to a custom build. 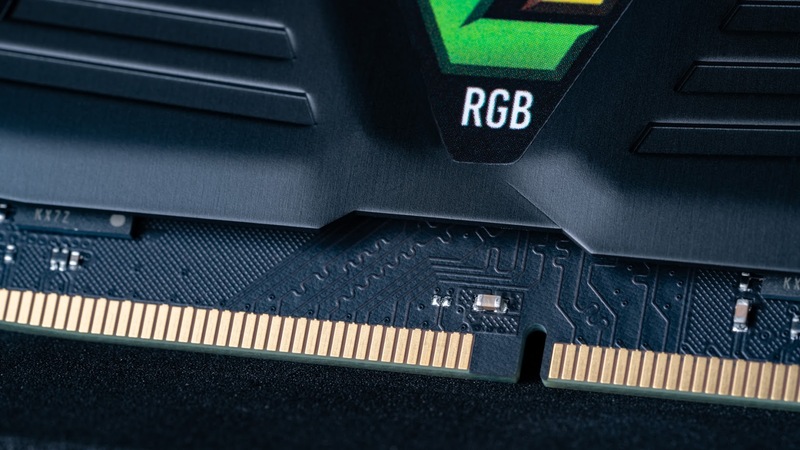 In 2019 you probably want at least a minimum of 8GB, for modern operating systems, but more memory is usually better and modern motherboards and CPUs can support a whole lot more. 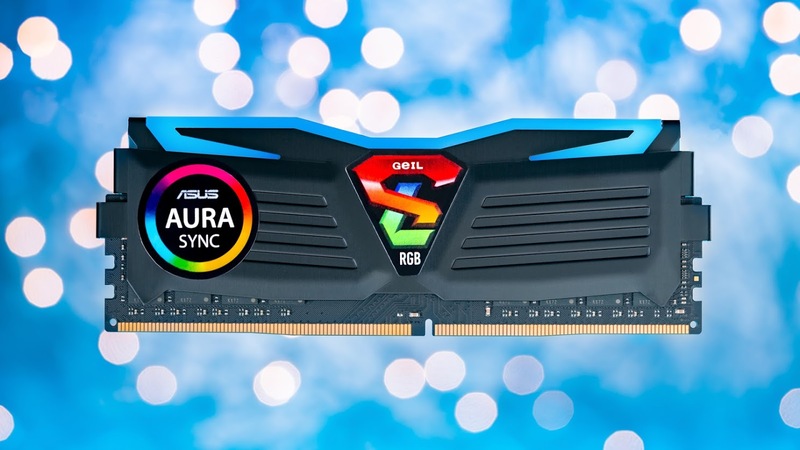 No matter how much RAM you want in your build, you need to have the right stuff. 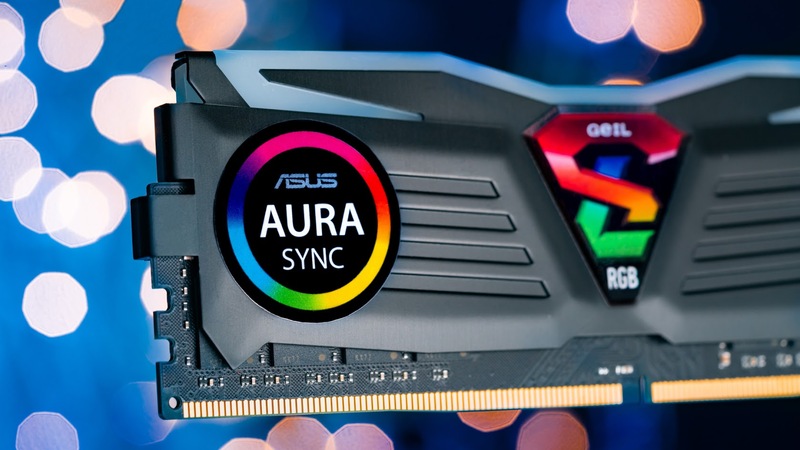 Luckily, memory manufacturer GeIL is back at it with their new Super Luce RGB Sync RAM sticks, which aim to achieve a high level of compatibility with both second generation AMD Ryzen- based systems and RGB software suites from a variety of motherboard manufacturers. This RAM will also work with Intel motherboards, but it’s in an AMD system where they will really shine. 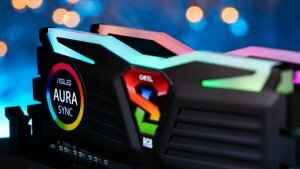 GeIL sent us samples (two 8GB sticks) of their Super Luce RGB modules, so let’s dive in to some of the technology involved, as well as take a closer look at those beautiful RGBs. 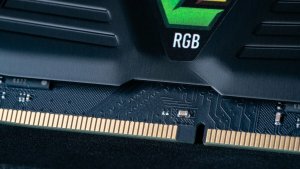 So what’s the deal with that Ryzen sticker on these memory modules? Well, it represents a whole lot more than just a marketing gimmick. While one might think that all 288-pin DDR4 memory is more or less interchangeable, that isn’t entirely true. It all boils down to clock speeds or, in very basic terms, how many electrical cycles per-second your RAM operates at. Modern DDR4 memory is rated in the Megahertz (MHz) range, which means millions of cycles are occurring each second. There are a lot of complex facets of electrical engineering at play here, but the important thing to remember is that generally speaking, a higher clock speed rating is considered better. For example, cutting-edge 4000MHz RAM is astronomically faster than older 2133MHz RAM. But the native speed of a stick of RAM isn’t the only factor in its real-world performance, and that’s where things get tricky. Any motherboard you plug a memory stick into is going to have a “controller” chip for that memory that, as the term implies, controls how that RAM interacts with other components plugged into that same motherboard (mostly the CPU). 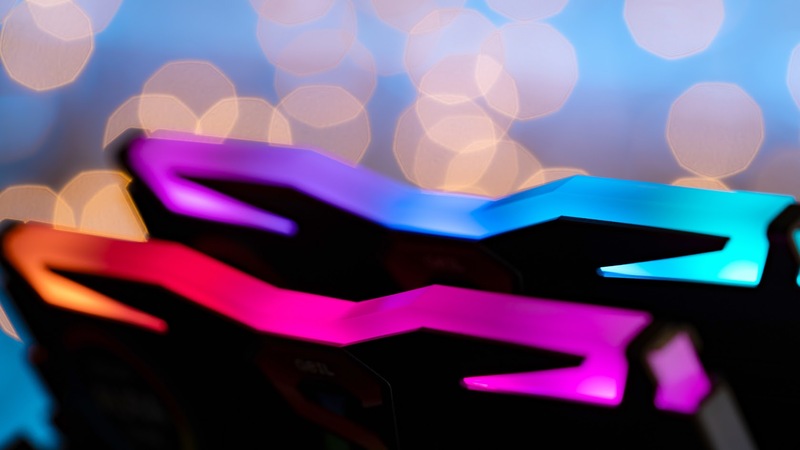 Since AMD and Intel design those controllers differently, issues can sometimes arise. 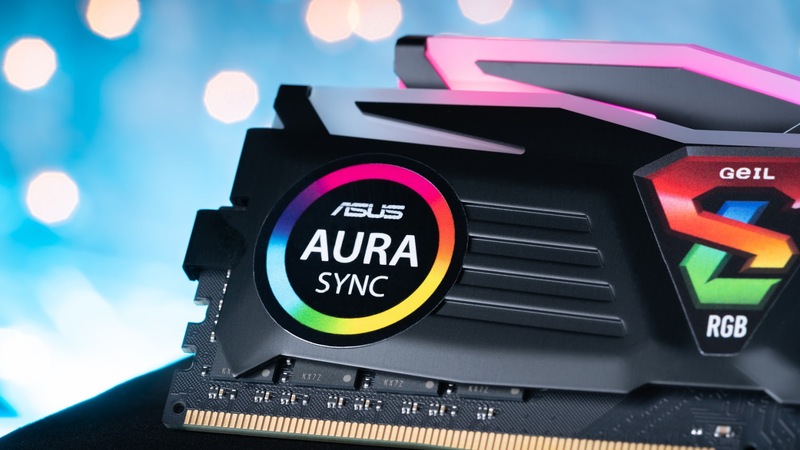 Often enough, RAM rated for a certain clock speed with an Intel controller will perform at a lower speed when paired with an AMD controller, or vice versa. This is all a lot of technobabble meant to illustrate one simple point: Ryzen-certified RAM units like GeIL’s Super Luce RGB Sync modules are verified capable of achieving the speeds shown on the box. 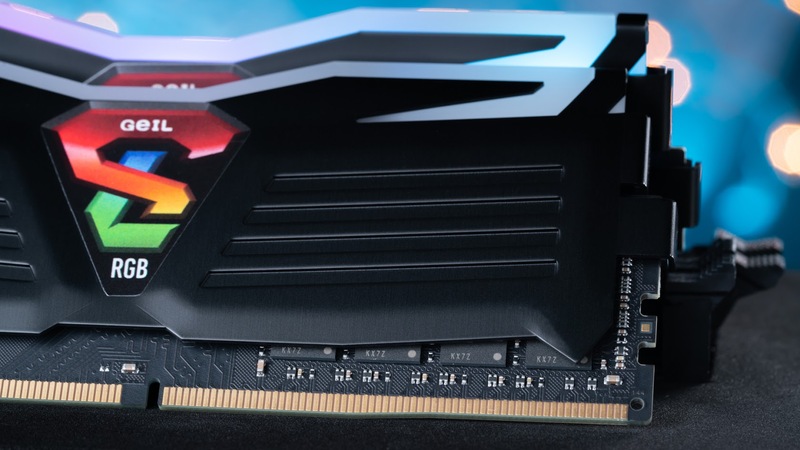 So, for example, these Super Luce DDR4 3000 modules have been tested to be stable up to 3000MHz, and will not be limited by a memory controller on a Ryzen 2 motherboard. (But be aware that BIOS settings, especially configurations related to overclocking, can produce unpredictable results.) 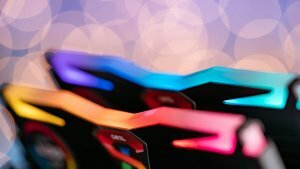 That’s important for getting the most out of, say, your Ryzen 2700X. And again, these modules are compatible with Intel motherboards – but they’re an even better choice for your next AMD build. 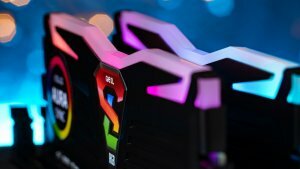 If you’re interested in some benchmark numbers on these particular modules, TechPowerUp did an incredible job putting them through the gauntlet. Now, if you’ve been looking at the pictures in this article, you’ve probably noticed that these Super Luce modules have some intense RGB action on top of their heat spreaders. Luce is most likely short for Lucent, and that seems like an apt name. RGB RAM might be considered somewhat old-hat at this point, but GeIL did a great job at designing diffusers that are super vibrant and let colors from each underlying LED flow together smoothly. 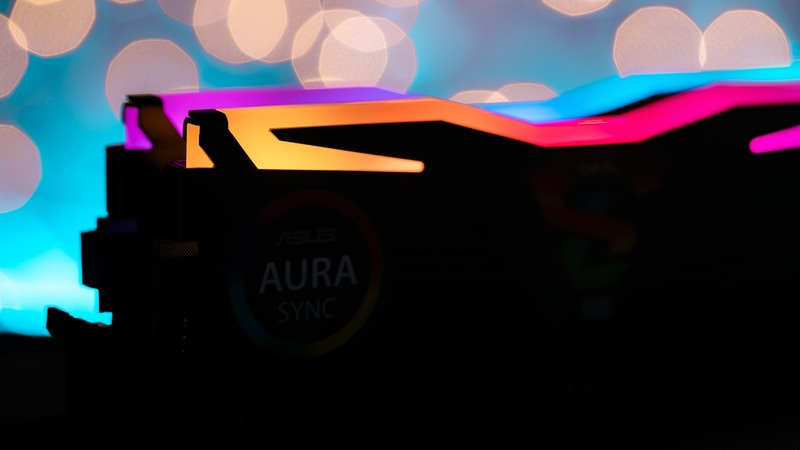 Better yet, it’s likely that no matter what kind of specs you have in your PC, Super Luce RGB Sync modules are, at the very least, going to light up and give you some of that rainbow palette in your build. And you’re really in luck if you have an ASUS, MSI, Gigabyte, or ASRock motherboard, since these modules should work flawlessly with (respectively) Aura Sync, Mystic Light, RGB Fusion, and Polychrome RGB software utilities. 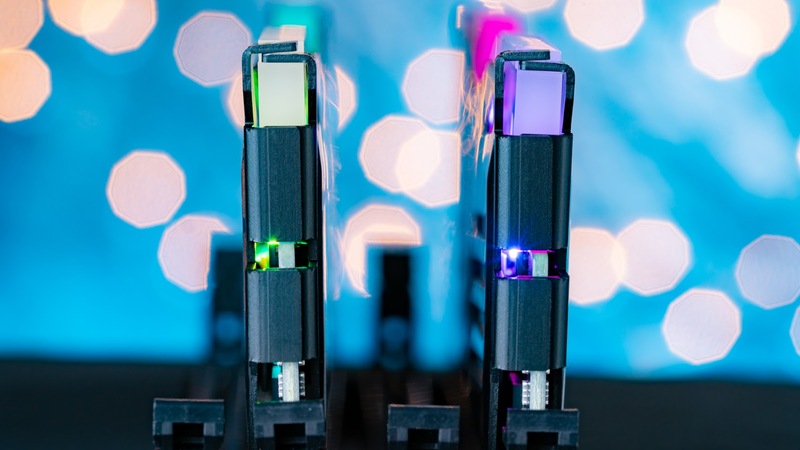 The heat spreaders themselves are black-coated aluminum, are solidly attached to the RAM itself, and do a good job of holding the diffusers and LEDs in place. It’s worth noting that the RGB elements on these don’t require any external power source, as they are powered directly from the RAM slot. 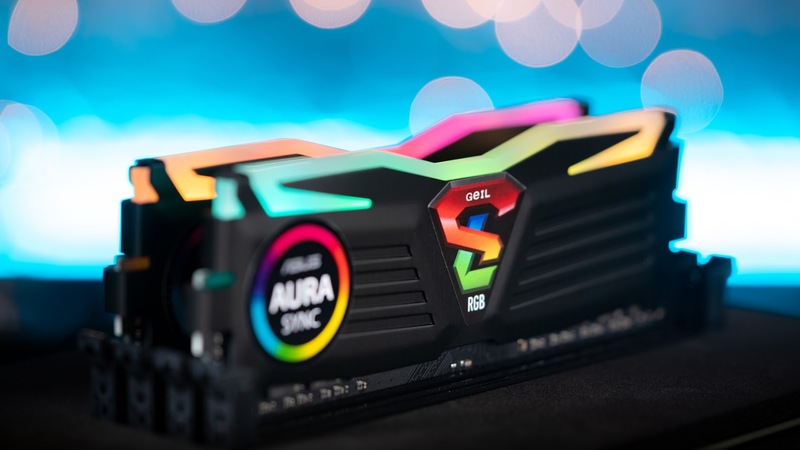 If you’re on the lookout for gorgeous RGB RAM with performance to boot, GeIL Super Luce RGB Sync memory is worth your time and your attention. Doubly so if you’re looking for RAM to pair with with a second-generation Ryzen CPU. Disclosure: This article was produced in cooperation with GeIL.